Boston City Councilor Josh Zakim has represented the Back Bay and Beacon Hill neighborhoods with a focus on civil rights and expanding voter access. 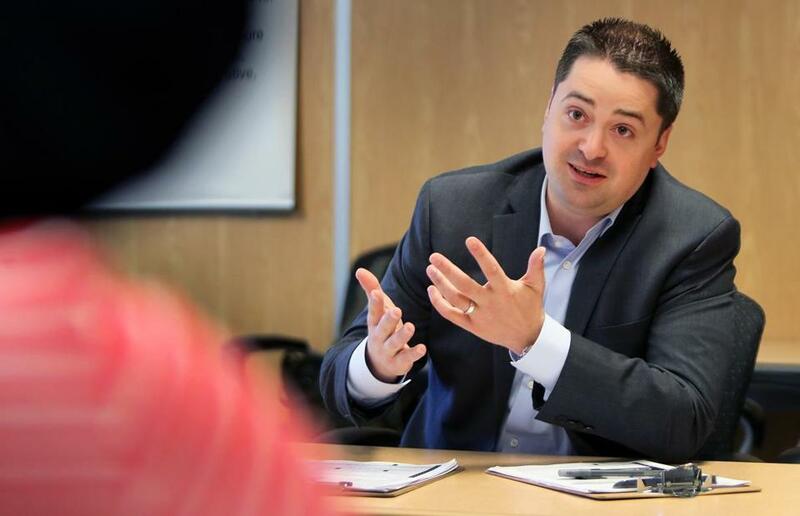 Boston City Councilor Josh Zakim, who has represented the Back Bay and Beacon Hill neighborhoods with a focus on civil rights and expanding voter access, said Wednesday that he will not seek reelection this fall, opening the door for yet another new face on the council. Zakim, 35, who set his sights on statewide office last year in an unsuccessful run against Secretary of State William F. Galvin, told the Globe in an interview that he is looking to spend more time with his family: his wife, Grace, and their son, Leo, who turned 3 months old earlier this week. “It’s a big change, and I think it’s the right time to give somebody else this opportunity,” said Zakim, a lawyer and the son of the civil rights advocate Lenny Zakim. He said he plans to finish the remainder of his third term but announced his decision now so that candidates have enough time to mount campaigns. “It’s a good job, a good district; it’s been the highlight of my career,” Zakim said. Zakim’s departure from the 13-member council portends further change for membership already in the midst of shifts. After this fall’s municipal elections, the council will have at least six new members over the last four years. Councilor Timothy McCarthy, whose district spreads from Mattapan to Hyde Park, announced in January that he is not running, and several potential replacements have lined up to run for that post. And already, several candidates have mounted campaigns to challenge Zakim for the District 8 seat, which covers the Back Bay, Beacon Hill, the Fenway, Mission Hill, and the city’s West End. Zakim’s departure could spur further interest. The candidates who have already announced include Hélène Vincent, the director of research and academic partnerships at EF Education First; Kristen Mobilia, a community organizer who challenged Zakim in the last election, winning 32 percent to 67 percent for Zakim; and Landon M. Lemoine, a member of the Back Bay Neighborhood Association who has worked for tech industry startups. If more than two candidates run, the district would see a preliminary election in September, and the top two contenders would proceed to the general election in November. Candidates do not have to register their campaigns with the city until April. Moreover, several political newcomers have already announced their campaigns for one of the four at-large seats, following former councilor Ayanna Pressley’s election to Congress last fall. Councilor Althea Garrison, who placed a distant fifth in the last city election for one of the four seats, was appointed by the council to Pressley’s seat in January, in accordance with city rules. But she, as well as all other councilors seeking reelection, will have to campaign again in the fall. Since he took office in 2014, Zakim has focused his work on civil rights and improving voter access. Last year, for instance, he spearheaded a city ordinance expanding the areas where voter registration forms can be submitted, and he sponsored several resolutions aimed at protecting immigrant rights. He said he was proud of his accomplishments, noting his work to pass the Boston Trust Act in 2014, which prevents Boston police from participating in the federal deportation of immigrants, unless they determine public safety is at risk. The goal, Zakim argued, was to build trust between police and the city’s immigrant community. He said there is still work to do, noting the council plans to hold a hearing on the Trust Act soon to review reports of recent police involvement in immigration matters. In between, Zakim said, he has attended to neighborhood matters, whether it be the policing of restaurant patio dining or regulating the many road races that are held in the Back Bay. Zakim said he has no immediate career plans. He said he will continue to serve on local political and social service boards, and help organizations such as the Lenny Zakim Fund, established in honor of his father, who died in 1999. “I certainly don’t intend to retreat from public life,” Zakim said.